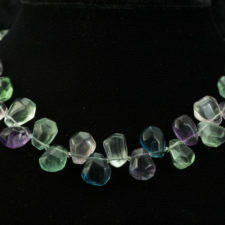 An inclusion is any material that has been trapped inside a gemstone during its formation. 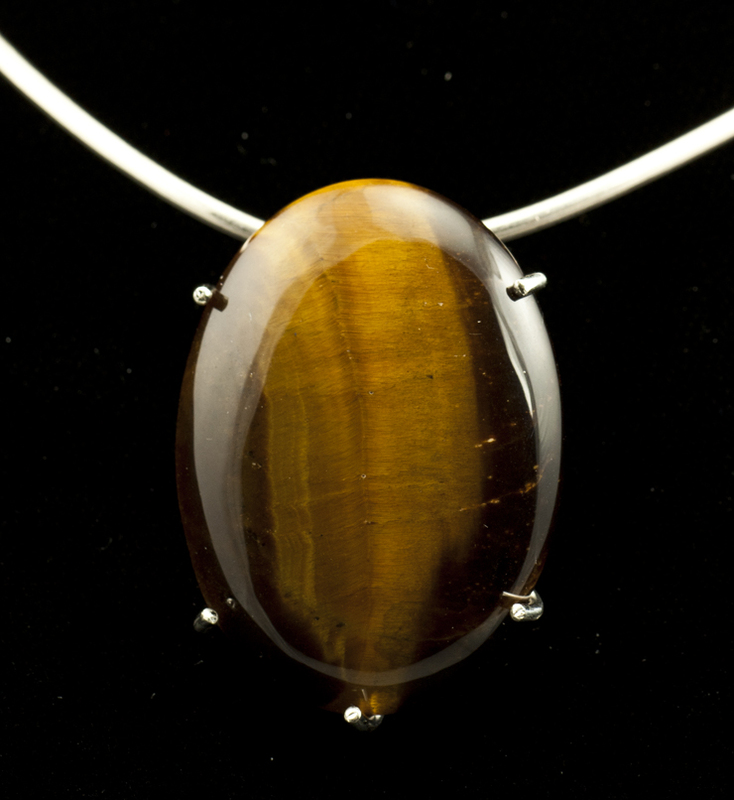 Inclusions can be animal (insects), vegetable (a leaf), or mineral (the needles in tiger eye). It should be noted that according to Walter Schumann’s “Gemstones of the World”, amber is the only incidence of organic (plant or insect) material included in a stone. Inclusions can also be the same material as the stone itself – a diamond in a diamond for example. This is an instance of a crystal within a crystal. Although the presence of inclusions in gemstones like emeralds, sapphires, rubies, or diamonds generally reduce the value of the stone, inclusions can make certain stones more valuable. Typical examples of such stones are amber where an included insect, etc. can make a specimen more interesting and valuable, tourmalated quartz with black needle-like inclusions, and rutilated quartz with golden needle-like inclusions. In fact, those included needles are what makes rutilated quartz what it is. 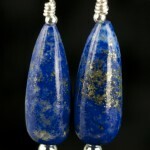 inclusions are pyrite in lapis. 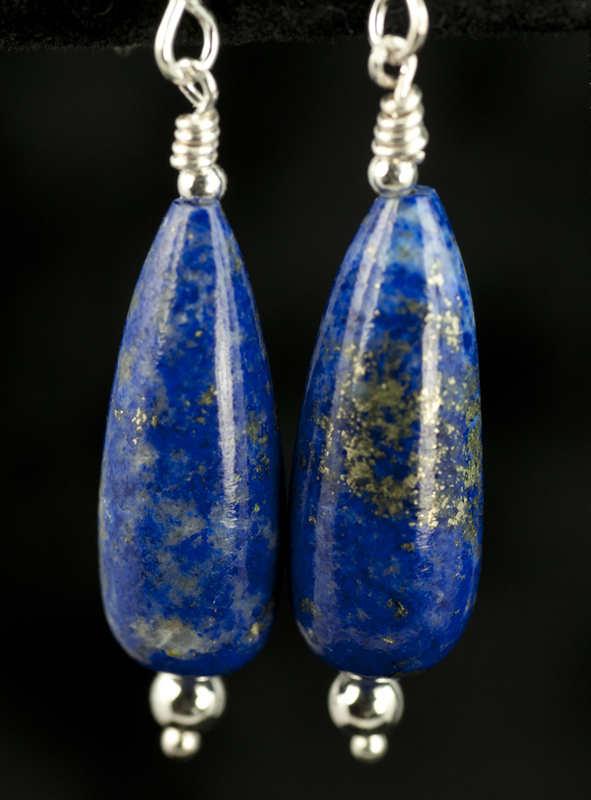 The composition of lapis varies widely with more or less pyrite present in a given stone. 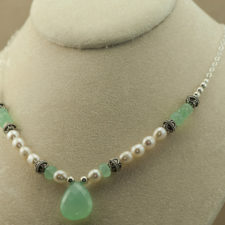 Yet another example of an inclusion is the “moss” in moss agate. The “moss” is hornblende or chlorite. 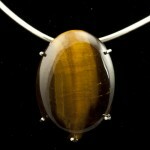 Tiger eye stones such as the pendant shown here depend on inclusions for their characteristic bands of flash. This characteristic is known as chatoyancy or the cat’s eye effect. 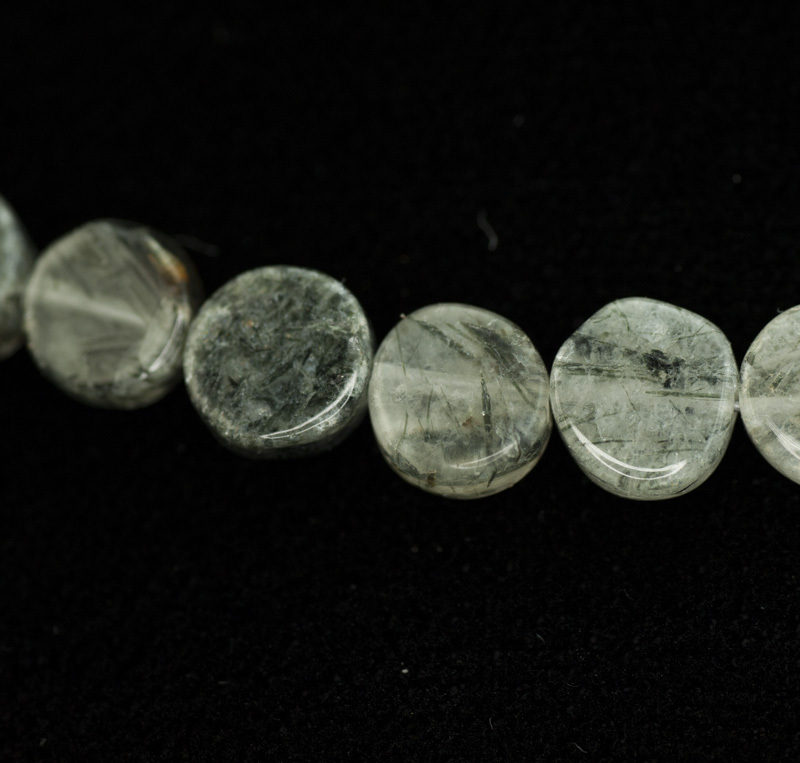 When the stone is moved or rotated, the cat’s eye (or stripe) moves over the stone’s surface. Inclusions are also what creates the star effect in Star gems. 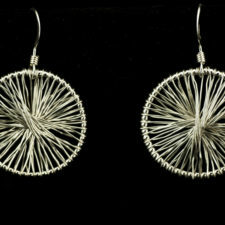 This effect comes from the included needles being aligned at right angles (90 degrees). Inclusions can make a specimen more interesting and valuable. 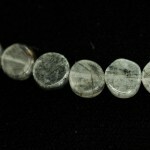 Examples are tourmalated quartz with black needle-like inclusions, and rutilated quartz with golden needle-like inclusions. 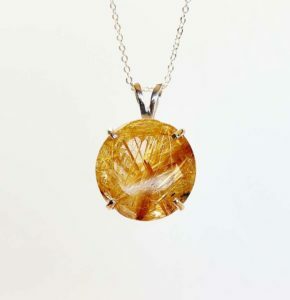 Rutilated quartz is one of my favorite stones and it is a terrific example of inclusions. We have a lot of lightning out here in New Mexico and those golden needles remind me of bolts of lightning captured within the stone. 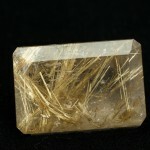 The golden needles are trapped inside the quartz crystal as it is forming. 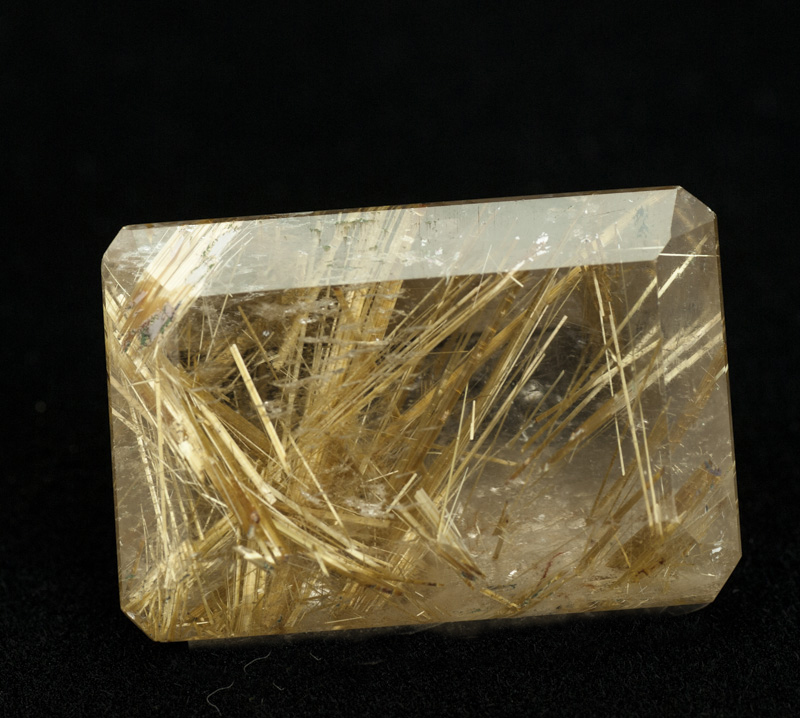 Rutile is the name for the needle-like crystals of titanium dioxide that are seen in rutilated quartz. The titanium dioxide is present in the molten quartz and the needles of rutile form as the quartz crystal cools. Rutilated quartz would just be plain quartz without these golden needles! 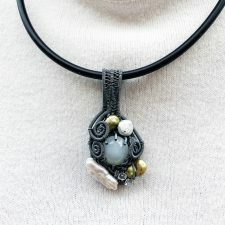 The patterns created by the needles add value to this stone. In this case inclusions make a specimen more interesting and valuable. In many instances, clarity in the stone is all important and inclusions are not considered desirable. This is definitely generally true for emeralds, sapphires, rubies, and diamonds. 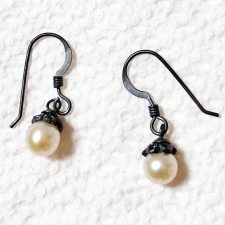 However, I recently read a research article on diamonds with inclusions. In this case, the diamonds are used as a research project and the inclusions are very important.